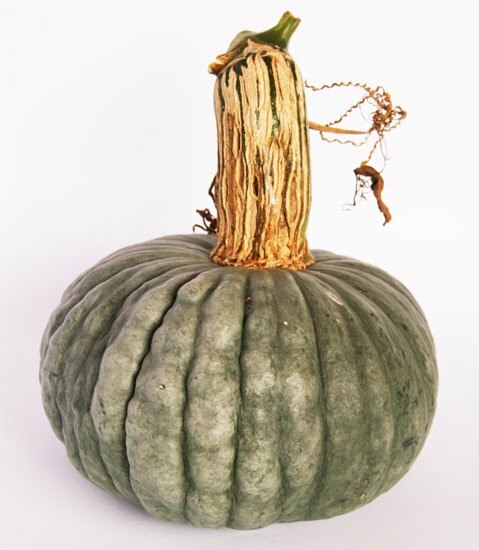 The heirloom winter squash comes from the small Italian seaside village of Chioggia. 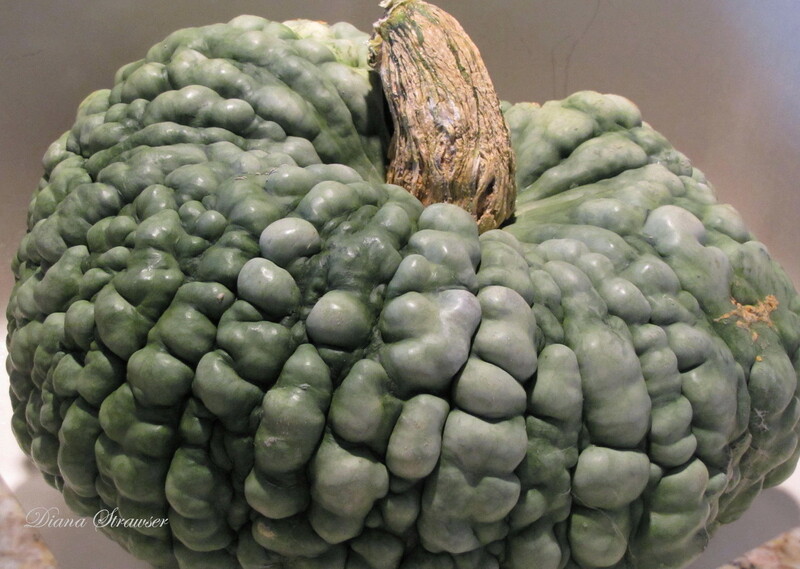 The dry, sweet flesh is ideal for Italian recipes that call for squash. The fruit weigh about 10 lbs. each and are produced on vigorous vines. 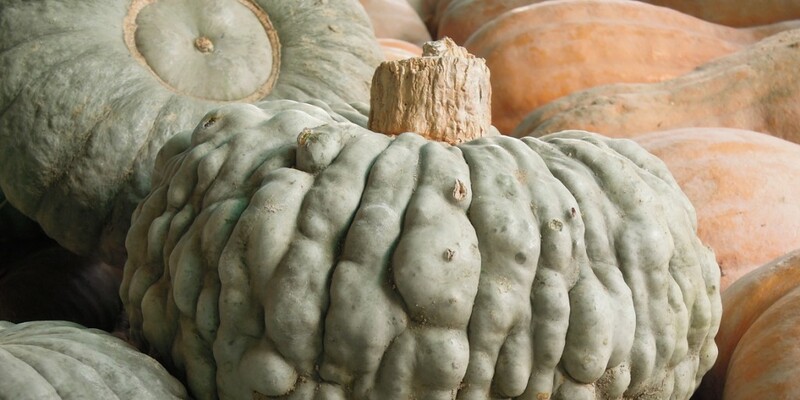 A magnificent traditional Italian variety of excellent gastronomic quality: ideal for pumpkin tortelli and gnocchi. Present in Italy for several centuries, it has, like all C. maxima, its point of origin in South America. 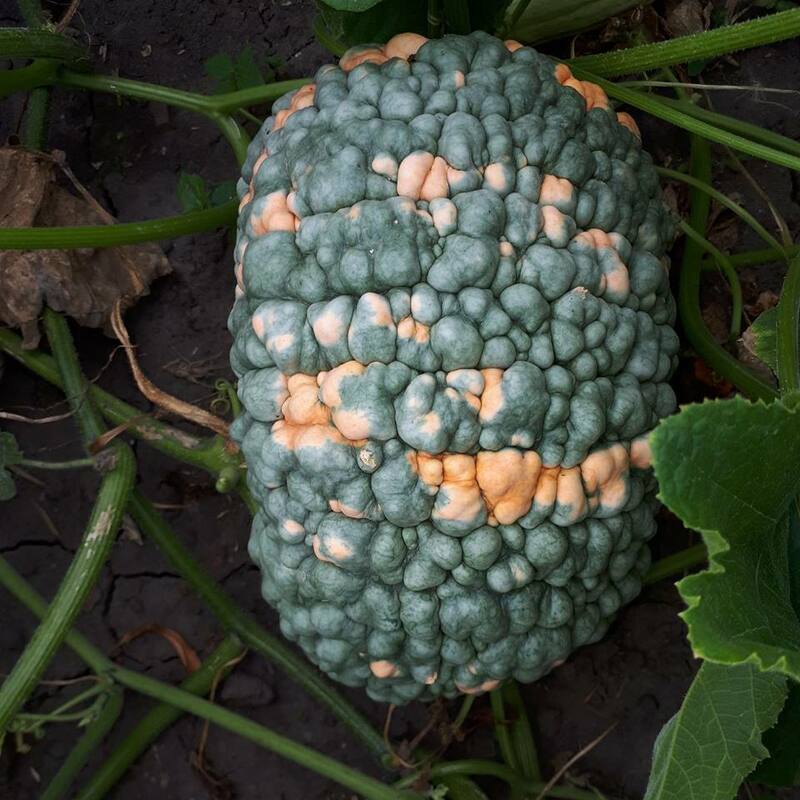 Also known as Zucca Santa or Zucca Barucca; this term derives from the union of wart and the Jewish word baruch (holy, blessed). 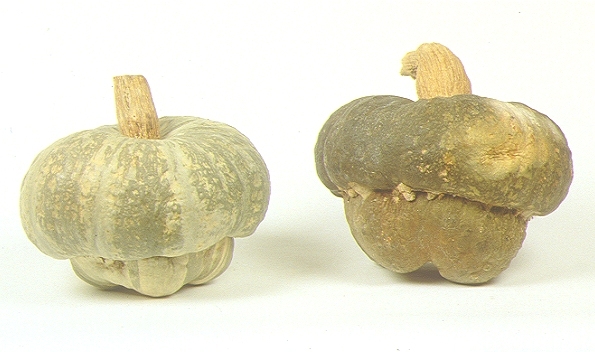 Berrettina Piacentina from Piacenza region of northern Italy. The name derives from the form that sometimes acquires, which is reminiscent of a turban hat. Traditionally widespread in the lowlands of Reggio and Mantua. 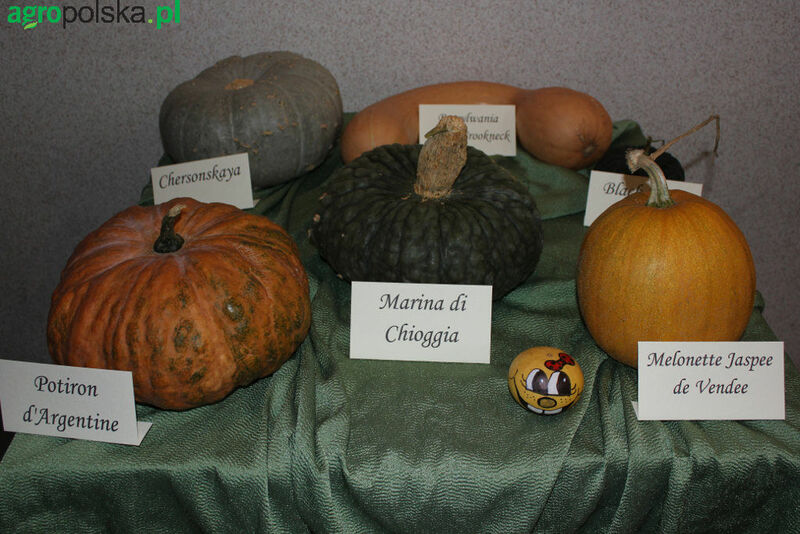 Remember the " Marina di Chioggia ", but with less rusticated epidermis. 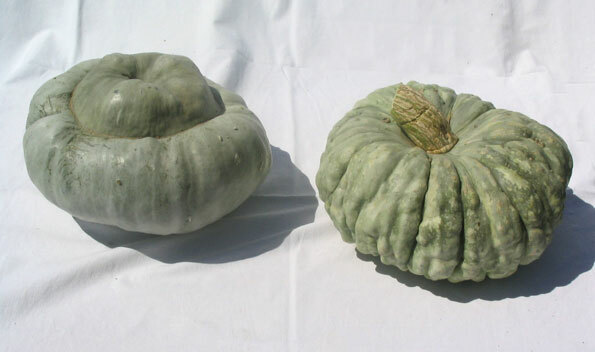 The gastronomic quality is excellent: firm, sweet and fiber-free: ideal for preparing traditional pumpkin tortelli.